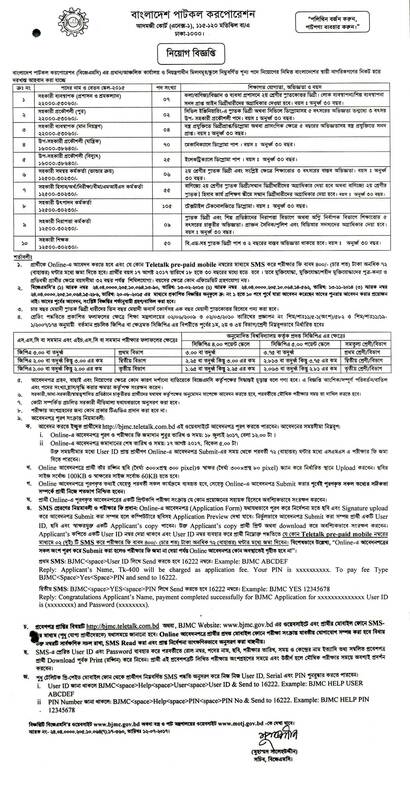 Bangladesh Jute Mills Corporation (BJMC) Has Published Job Circular on www.bjmc.gov.bd . On that circular their are 333 New vacancy in this post. The BJMC has declared 333 vacancy on there Official Website. HSC And Graduate Student also apply this BJMC govt circular 2017. BJMC has declared a big Job circular for 333 Post. Bangladesh Jute Mills Corporation is a government sector to build your career on govment employee. Bangladesh Jute Mills Corp., well known as BJMC is the world’s biggest state owned manufacturing and exporting organization of all kinds of Jute goods. Bags and sacks for packing almost all kinds of agricultural products, minerals, fertilizer, cement etc. Offer: Upon getting enquiry from the buyer, BJMC on the basis of availability, almost immediately will extend offer quoting price and other business particulars for buyer’s response and confirmation within 48 to 72 hours. Acceptance: On receipt of buyer’s confirmation, BJMC will finally accept the deal for production and shipment on receipt of Letter of Credit and / or other negotiable instrument as decided on by both the parties.